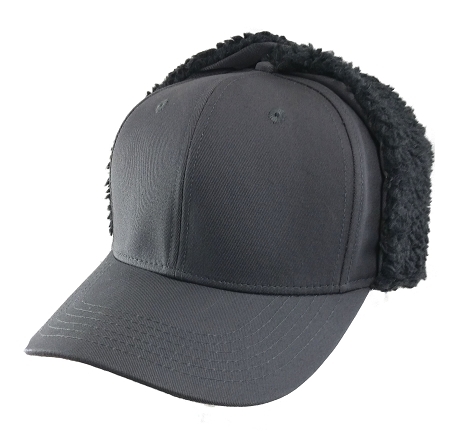 The 4XL Gray Ear Flap Baseball Cap has Sherpa lined ear flaps with an extra-long hook & loop strap secure them up or down. 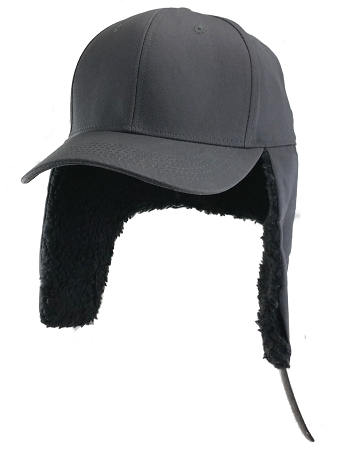 The actual crown of the hat is not lined so you can wear it alone or with a knit cap. I thought the cap was a little light weight ... but it's plenty warm. The pull down part across the back of the neck is toasty. I expect to wear it a lot and am not sure the light cap part will last. Good fit. I bought this item for my husband. It fit PERFECTLY and he RAVED about how warm it kept his head! TOTALLY WORTH THE BUY! The only complaint he had was that the strap was not long enough to fasten around his chin. Otherwise, I give it 5 stars!